Wow, the dress looks great, I love it! don´t know what i love most about this – the bag, the shoes…you look gorgeous dear! Love the look! Always flawless. I think i want a hermes bangle too! Where is this place, hotel? Hi mama! We were staying @ the Cosmopolitan during our stay in Vegas (these photos were taking on our way out of the hotel to our anniversary dinner celebration) thank you! xO! How elegant and sophisticated, Sooae! You look amazing! That dress is beautiful, so elegant and chic. You are beautiful as always! OMG love your outfit ** FANTASTIC! thank you Agata! of course, will check it out! Thanks for finding/following xO! You are SO gorgeous! This dress is beautiful on you! You are so sweet, thank you! xO! That dress is amazing! I love it! Very very pretty! Such a stunning white dress! I love the drapey shape of it- it’s so chic on you & looks gorgeous with that white jumbo! Love your dress. So simple, yet so elegant! thank you Agnes! yep your words just defined my personal style keke thank you~ xO! GREAT DRESS! YOU LOOK STUNNING! awe thank you gorgeous!! xO!!!!!!! thank you Ang! Thanks for finding/following me! xO! You look gorgeous! That dress looks so good on you and you accessorized it well! I love these photos of you! That dress looks great and you’ve styled it nicely too with the bag and bracelets. I have bloggers envy right now, so in love with your Chanel and Hermes bangles. Lovely and awesome blog.The picture are so beautiful and amazing…….. This is such a pretty dress. I also really like the location of these photos! 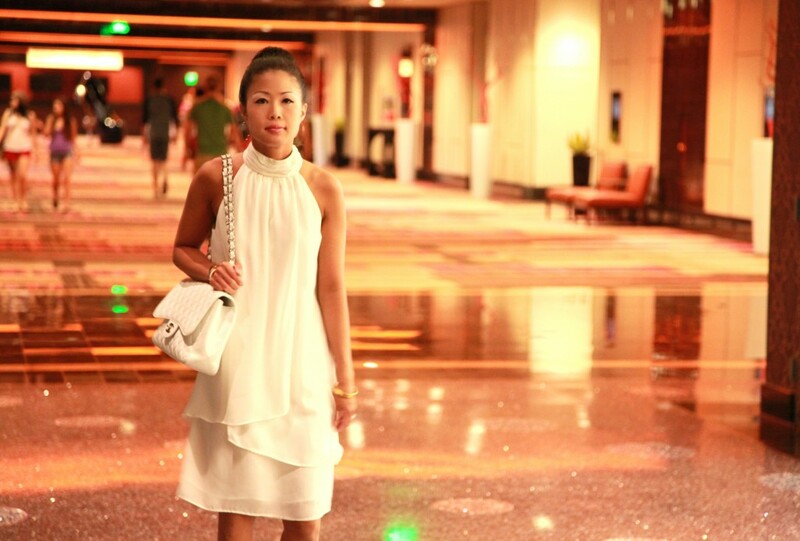 You’re looking totally crisp in that LWD….I still have to find the perfect LWD!! looking so classy and glam in all white! love it! The dress is so lovely!!! You have such a classy sense of style! Love the dress! So demure!!! Love the light feel of the dress and all white ensemble!